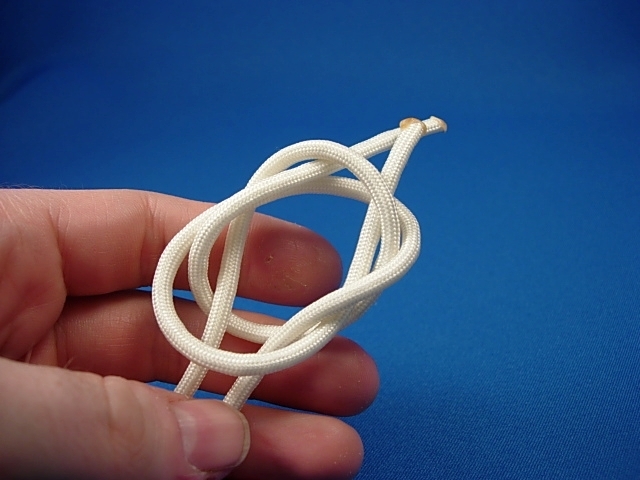 As I was looking up stopper knots yesterday I found this forum post Paracord pulls on my Brain Bag. The zipper pulls look sweet with the different colours and knots! 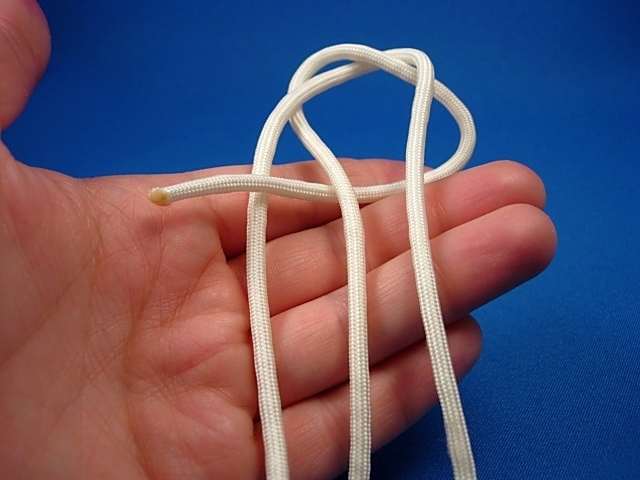 I hope the author doesn’t mind, but I’m going to re-post his instructions for tying the two-strand footrope knot here because they are easy to follow and for some reason I feel like forums are less permanent than other websites. I don’t want these great instructions to disappear! 1. 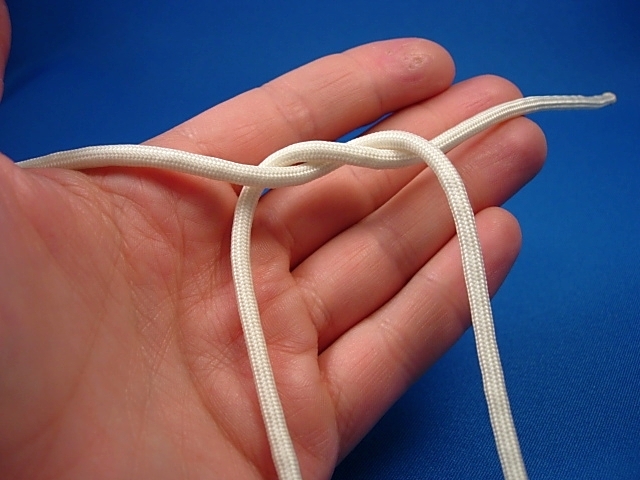 Cross the ends right over left, just like tying a shoelace. 2. Take the end currently on the right and cross it under the two standing parts. 3. 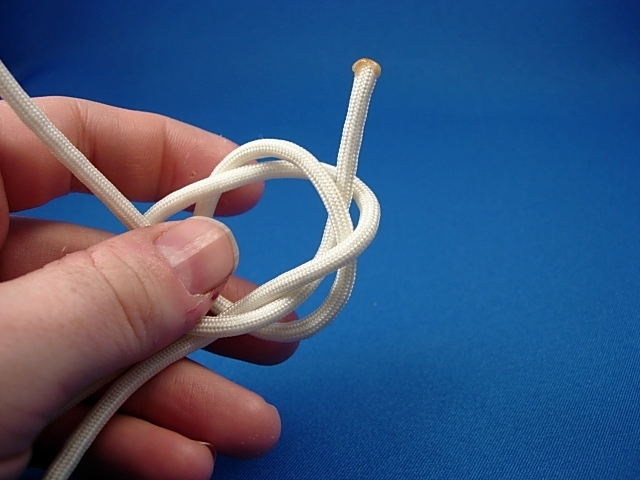 Take the other end and put it under the end you just brought over from the right. 4. 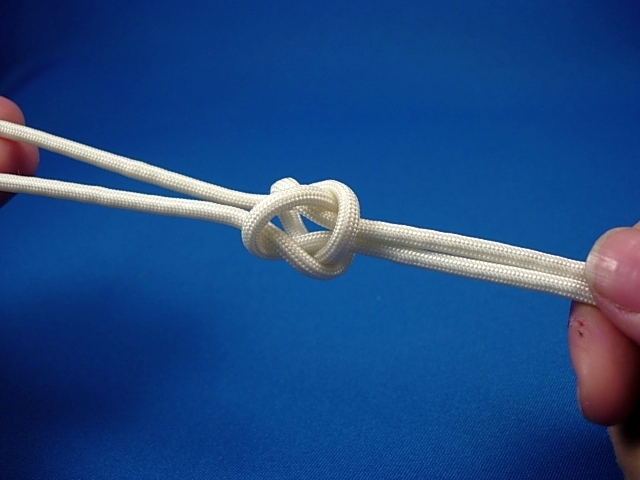 Now take that same end, cross it over the two standing parts and through the bight on the right side. 5. 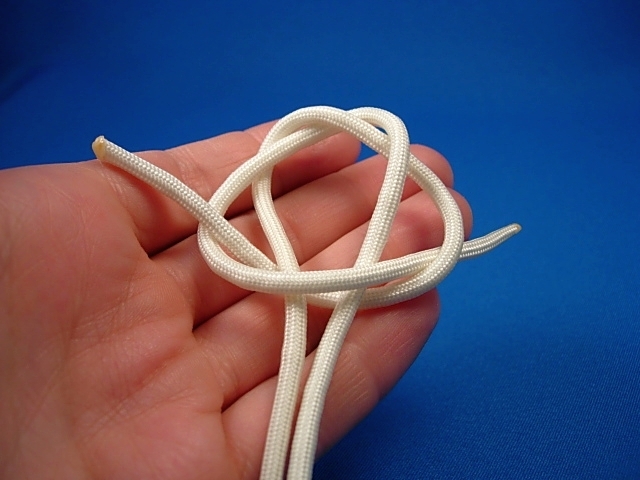 Take one of the ends and slide it up in between the strands at the top of the knot. 6. 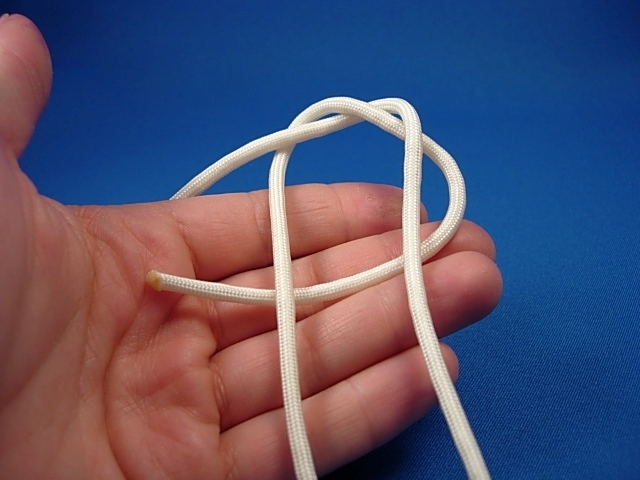 Do the same with the other end. 7. 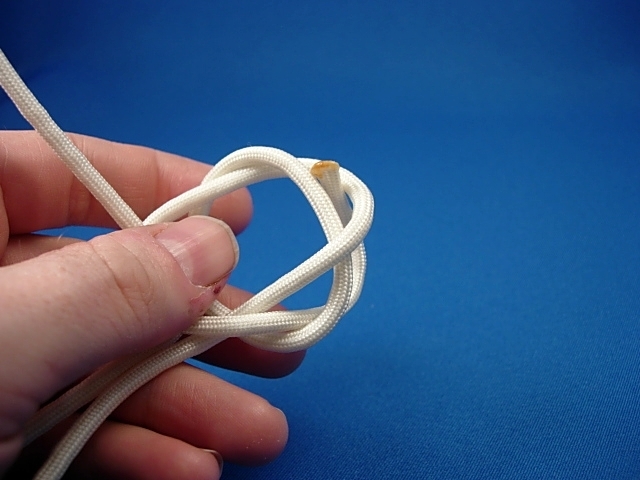 Now pull with even force from both sides and the knot will begin to take shape. 8. 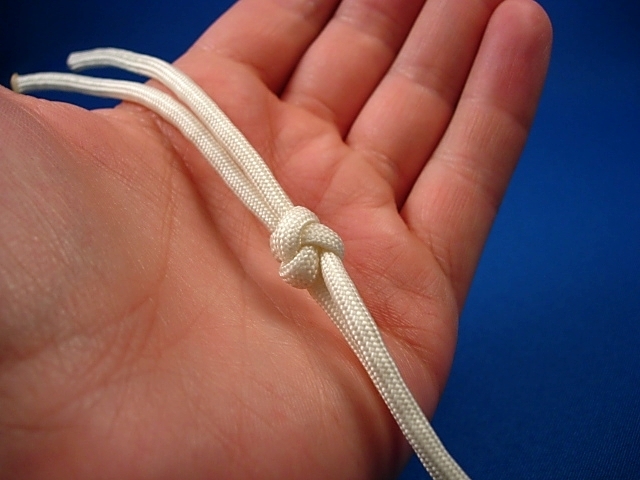 Continue pulling until tight. You may need to work some slack out to get all of the faces even.